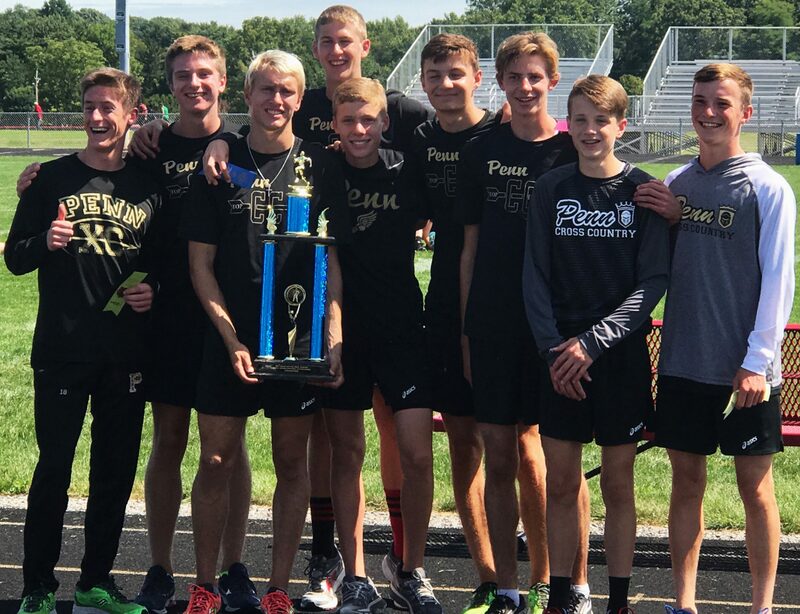 The Penn Boys Cross Country Team finished in first place with a victory at the Manchester Invitational, while the Penn Girls Cross Country Team placed fourth overall at the Marion Invitational on Saturday, Sept. 2. The Penn Varsity Boys Cross Country team edged Morgan Township in a thrilling race at Manchester High School. The Kingsmen beat Morgan Township on a tiebreaker during the varsity 5K race. All five Kingsmen seniors in the varsity race finished in under 17 minutes. Colton Shail led the Kingsmen runners with a final time of 16:36 to earn him fourth-place overall. Curtis Cornell followed shortly behind with a time of 16:49 to give him sixth place. Matt Long and Chandler Neal both passed runners down the final stretch of the race to give them a time of 16:52. Chad Piatt followed closely behind with a time of 16:58. The results of the race relied on the place of the sixth runner for both teams. Penn’s sixth runner, Nick Sergeant, placed ahead of Morgan Township’s sixth runner with a time of 17:32 to earn the Kingsmen a victory. The Penn Girls Varsity Cross Country Team traveled to Marion, Ind., to run at the Marion Invitational Elite Race. The girls placed in fourth place overall out of 17 schools. Lauren Frank led the Kingsmen with a time of 18:57 to earn 15th-place overall. Dani Spring followed behind with a time of 19:22 to take 25th place overall. Riley Keppler and Brooke Neal pushed through later with times of 19:30 and 19:38. These runners helped earn an impressive fourth-place finish overall in the Marion Invitational Elite Race.